Try Inbound Marketing With Simple Marketing Now. Combine it with HubSpot. Inbound marketing - as opposed to traditional 'outbound' or 'push' marketing [a.k.a 'interruption marketing'] - strategies recognize that potential customers start the purchase process at a search engine window, looking for content and information that answers their questions, educates them and allows them to qualify their level of interest in a product or service. They do it on their own time. They may have been nudged or influenced through offline experiences or social interactions, yet pursue online research as a form of due diligence. Participating in social media conversations and willingly engaging with customers and prospects online. Analyzing your results so you can rinse, repeat and improve! Why bother with an inbound marketing strategy? Companies with more indexed pages get way more leads. The more quality content you create and keep evergreen, the more traffic and leads your business will see. With inbound marketing, the more your website can answer potential customers' questions, the more likely they will be to find your content. And, if they find your content, you have the opportunity to invite them to become more engaged with your business and eventually even convert from lead to prospect to customer. 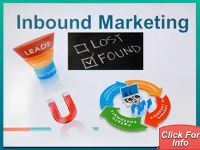 Inbound Marketing ensures that your prospects find your business online! It helps you generate leads which you can nurture into eventually becoming customers. How? By clearly identifying what your brand and business represent so you can attract the right visitors and prospects. By ensuring that your website fully represents what your brand and business stand for [i.e., this is where SEO - search engine optimization - plays an important role]. By creating remarkable and compelling website content - including blog content - that addresses the questions and issues that customers have related to your business, brand, category and expertise. By developing offers - white papers, guides, tip sheets and others - relevant to your customers that you promote on your blog and via interactions with your social networks. Offers allow you to convert visitors into leads with a known email address so you can interact with them again. By nurturing those who respond to your offers and converting them into customers and delighting them into becoming promoters of your business. By analyzing carefully what you've done so you can learn and improve going forward and convert more website visitors into customers. 1. Create glorious, delicious, memorable and relevant content on your website and on your blog. This includes in-depth or advanced content - known as pillar content. Your content needs to be meaningful to potential customers it also needs to be long enough to convey expertise and provide value. 2. Make your content easy to find online. In other words, optimize it for search engines by associating web pages with unique titles and descriptions that truly make sense based on what's on page; focus each page of your website on just a few related keywords; write your content so human beings can read it and appreciate that what you've published actually matches up with what they were searching for. Make your content so delicious that others will link to it from their websites. Be consistent in how you refer to your business and website in the profiles you create online on other platforms such as LinkedIn, Twitter, Facebook or Google Places. 3. Promote your amazing content in your email communications, on your social platforms, in your email signature, on business cards that you hand out at trade shows, on newsletters and in offline and online advertisements. Which are the Best Inbound Marketing Tools? Simple Marketing Now, a Certified HubSpot Partner, recommends Hubspot - the all-in-one inbound marketing and sales software. Hubspot makes possible multi-channel analytics so you can measure and appreciate where leads and customers come from; A/B testing and landing page tools so you can easily determine how best to increase conversion; blogging, SEO and social media tools to help you get found and behavior-driven communications to nurture leads into customers. We consider it the most robust content management system, too! Combine that with a state-of-the-art CRM (Customer Relationship Management) System, and you have a perfect solution! If you have already implemented HubSpot and not seen the results you hoped for, we can help you be more successful. Prefer to take starter steps before committing to an inbound marathon? If you're not quite ready to implement an all-in-one marketing and sales automation software solution, we can still help you with HubSpot's Growth Stack combined with an email solution. What's important is getting started with inbound. Schedule a free 30 minute consultation. We'll conduct an Inbound Marketing Assessment to review your existing website and digital outposts and make recommendations for discussion with you. That's okay. We invite you to explore the content on this site, download one of our inbound marketing offers, or check out the articles on the Content Talks Business Blog. 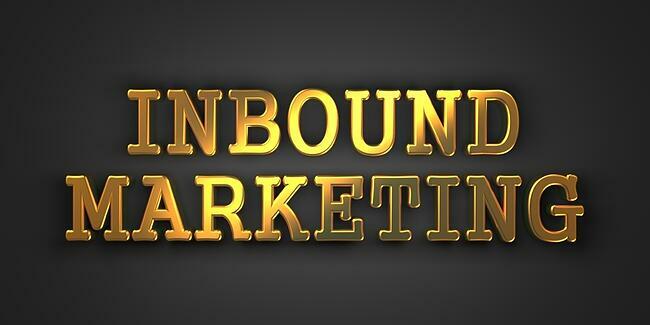 Just promise you'll start thinking about how inbound marketing makes sense for your business. >> Visit the Inbound Marketing Resource Library!